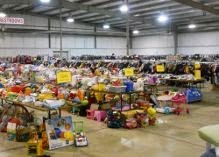 Get ready Washington County - you have not been missed for the big consignment sales! Washington County Fair & Expo Center in Hall 1 and Hall 4. 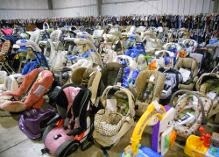 KID MANIA LLC Kids Seasonal Consignment Event is an established event for over 10 years, not a franchise, which keeps our fees and prices LOW! Follow them on facebook for up-to-date info. 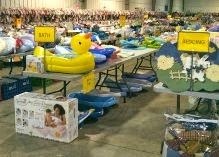 Selling over 50,000 New and Gently Used Items at 75-90% off retail! 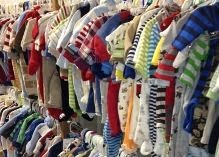 Selling Maternity & Kids Clothes (Newborn - 12), Baby items, Furniture, Toys, Books, Movies, Video Games/Systems and More! Lowest Prices Around! RESTROOMS, CHANGING ROOMS, FOOD COURT & OTHER VENDORS - On hand will be several consultants marketing their business with lots of cash and carry (see their website for a list of vendors here). Accepting Cash, Visa, Master Card, Discover (NO CHECKS), Prices are Firm and NO RETURNS as items are sold as is and is not warranted or guaranteed by KID MANIA LLC. follow on Facebook or Twitter @Kidmaniasale or join their mailing list for all the latest info! My followers SAVE $5 on Sat 5/3! Show or bring the coupon here.